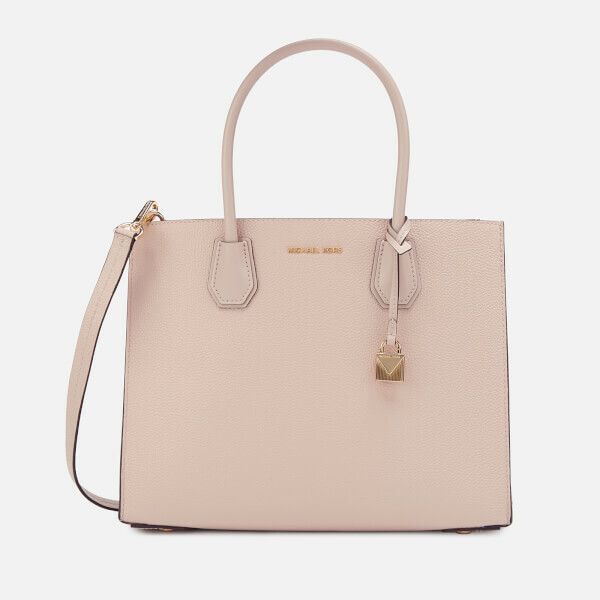 The MICHAEL MICHAEL KORS 'Mercer Accordion' messenger bag is made from textured pebbled leather in a boxy silhouette. 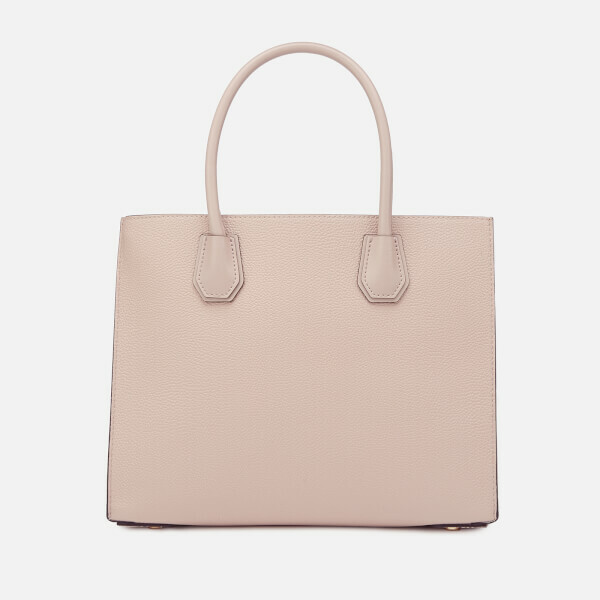 Suspended from a pair of rolled, reinforced grab handles, the small tote bag features a an adjustable and removable shoulder strap for versatile styling. 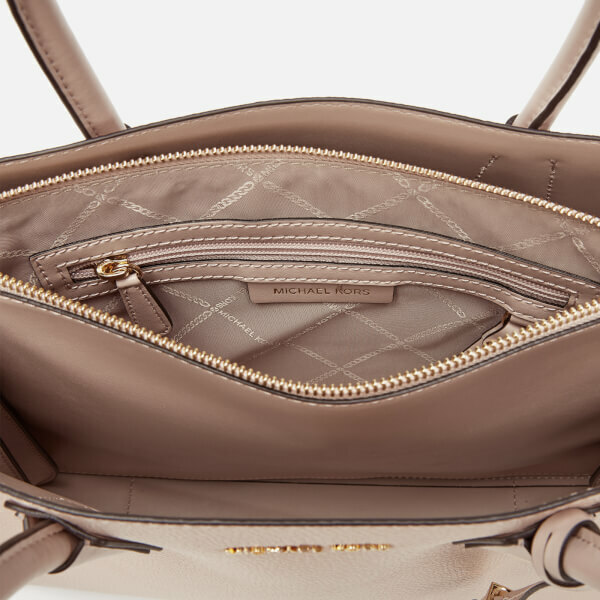 The multi-compartment interior with two open, unlined sections and a dividing zipped pocket offers space for essentials. 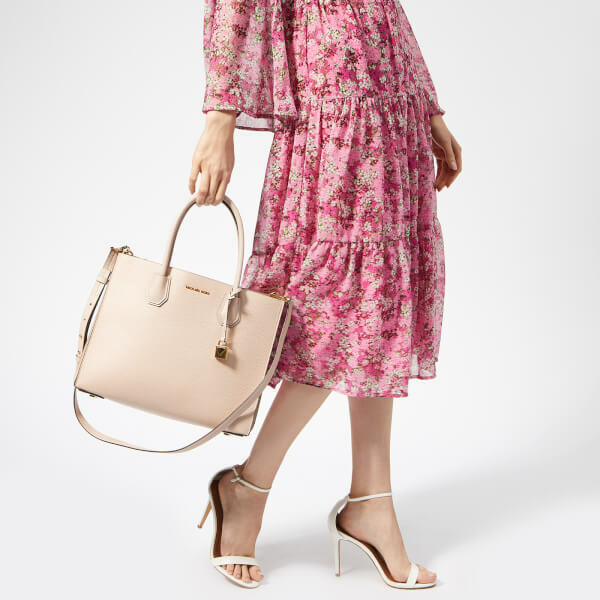 The blush pink-coloured leather bag is finished with gold-tone hardware, including a signature padlock charm, appliqué logo and protective feet on the base. Dimensions: H: 26cm x W: 32cm x D: 14cm. Handle Drop: 14cm. Strap Drop: 65cm.